“Addiction”, a dirty word because of the image it brings to mind - but the statistics show that there are far more housewives and high-flying executives being impacted by addiction in recent years. Stress is usually a key underlying factor and is usually followed by depression, already the client will be looking for a way to ease the load, whether it be alcohol or medication the results are always devastating to them in all areas of their life. 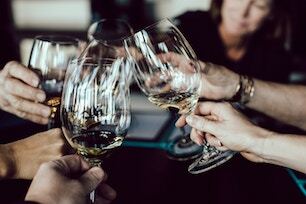 Alcohol is obviously more widely available and that one glass in the evening to unwind can very quickly turn into the whole bottle and then maybe two, as the body begins to tolerate the amounts being consumed. The obvious solution would be to stop that cycle before it begins, but for many people the slide into addiction is not as obvious as you may think it would be. In order to combat the addiction when it reaches levels where it is noticed, the only way forward is for the client to admit there is a problem. Sounds simple, but with every self-induced coping mechanism, there is also the 'part' of the brain that justifies the consumption. Hypnotherapists can deal with the 'part' of the subconscious that is blocking the client’s road to recovery. Parts therapy talks to the 'part' and will discover why it is doing the job it is - it’s good to remember that the subconscious is there to protect us, so the hypnotherapists job is to give the 'part' another more beneficial job. If stress and depression are part of the problem, then that will also be addressed at the same time, as well as giving the client ways to de-stress; a 'calm anchor' for instance or something else almost instantaneous like a trigger word, to take them to a relaxed place in their mind just for a few seconds if safe to do so, to break the tension or stress the client is experiencing. There are many ways hypnotherapy can help with addiction, the client is always who leads any session and the hypnotherapist will tailor each session to suit the client.